Our Fall CSA is currently underway with one pick-up out of 6 down. 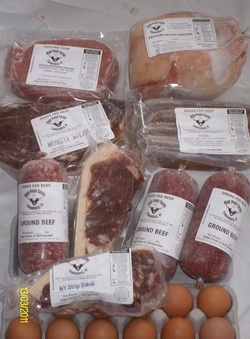 Shares are still available to you lucky ducks who are salivating at the thought of grass-fed beef, pastured pork, free-range chickens and eggs! Shares have been pro-rated to reflect the remaining pick-ups!